Russia and Iran are allied in Syria – but are they as close as they seem? After years of isolation, Iran is slowly coming back in from the cold after the deal to curb its nuclear programme. And as it starts to reassert itself more openly in the world order, it’s rekindling a stormy affair with an old flame: Russia. The two countries have discussed opening a joint bank, co-operation in space research, and undertaking preparations for establishing a free trade area between the Eurasian Economic Union (EAEU) and Iran under Putin’s direct order. They’ve also joined forces in fighting anti-government groups in Syria, where they both view shoring up the Assad government as perhaps the least worst way to stabilise the conflict there. All seems rosy then. But not so fast: these are two countries with a long history of acrimony and suspicion, and based on all historical precedent, they could well find themselves at odds again soon. Over the last four centuries, the two countries’ relations have fluctuated between adversarial rivalry and friendly partnership. For ordinary Iranians, Russia is a reminder of defeat. National pride is still wounded from the loss of the Caucasian Khanates, significant territories on the northern parts of the Aras River which were ceded to Russia after what was then Persia was defeated in two Russia-Persian wars in the 19th century. To older generations of Iranians, Russia is also a reminder of occupation; as a consequence of Russia’s initial refusal to withdraw the Red Army from Iran, which both Moscow and the Allies had occupied during World War II to create a route to send supplies for the Soviet Union’s war effort. Throughout this long history, in addition to ideological influences of Russian political trends over Iranian elites, Russia has exerted a gravitational pull on Iran’s foreign policy calculations. It was a big factor in Iran’s decision to claim neutrality for two centuries – a policy that ended in 1955, when Tehran took the plunge to join the pro-Western/anti-Soviet Baghdad Pact, modelled after NATO, which provided incentive for member countries to commit to mutual co-operation and protection, as well as non-intervention in one another’s affairs. Equally, Moscow has always been an important factor in the way other countries approach Iran. Throughout the 19th century, Persia was affected by Anglo-Russian conflict of interests; that pressure eventually resulted in the separation of Herat from Persia, to work as a buffer zone which would keep the British-controlled India away from the Russians’ agitations and possible encroachment. And throughout the Cold War, Iran was valued as a major bulwark against the Soviet’s potential expansion to the Middle East and a check on its influence there. The 1979 Islamic Revolution introduced a strongly ideological dimension to the two countries’ relations. The Soviet Union initially welcomed the revolution, hoping that the anti-imperialist and anti-American bent of the new government could flatter Soviet interests in the region. But that calculation soon proved wrong. With the revolutionary government’s “neither east, nor west” policy, relations turned cold, particularly due to Moscow’s provision of extensive military assistance to Iraq during its 1980-1988 war with Iran. Things got even worse when top-rank members of Iran’s Soviet-supported Tudeh party were arrested and 18 Russian diplomats were deported in 1983. There were no significant improvements till the end of Iran-Iraq war, when reciprocal high-level diplomatic visits initiated something of a thaw. Russia and Iran have been mostly friendly ever since, though their relations are still subject to a good deal of flux. Iran continuously has tried to respect Russia’s sensitivities, particularly regarding its regional policies: it held back on recognising the former Soviet Republics’ independence before the official dissolution of the USSR, refused to get involved in the Chechnya conflict, and has consistently kept its relations with the former Soviet republics within the confines of Moscow’s worldview. Tehran’s regional and international isolation has been pushing it towards Moscow, in the hope that the Russians would shield Iran from further pressure. That strategy paid off at times, particularly during the saga over Iran’s nuclear enrichment programme: in 2005, Moscow tried to mediate between Tehran and the West while sticking to the line that there was no definitive proof that Iran’s nuclear activities were being militarised. But just as Iran must always factor Russia into its dealings with the West, Russia always factors its relations with the West into its dealings with Iran. Whenever Russia’s relations with Western countries have warmed up, it has generally taken a tougher line with Iran. This was made plain in 2011 when it publicly refused to supply Iran with S-300 surface-to-air missiles. On the other hand, when in trouble with the West, Russia warms towards Iran. Now that it’s struggling under sanctions imposed over its role in the Ukraine crisis, the S-300 missiles have reportedly been delivered to Iran after all. 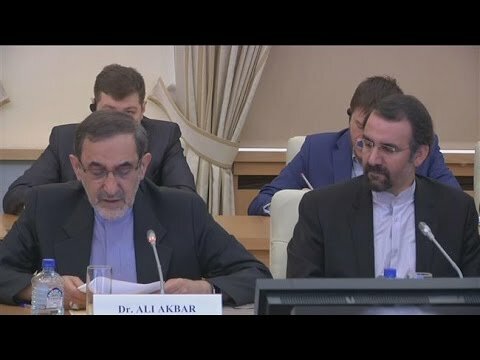 So for all that Iran is Russia’s biggest trade partner in the Middle East, and for all that they seem to have found a common cause in backing the Syrian government, the two countries will never be mutually devoted partners. Alongside their long history of mutual suspicion, they are still rivals for security influence and energy resources in Central Asia and the Caucasus. They also still have great differences over the Caspian Sea, even as they work together to keep it beyond NATO’s influence. So what the world sees between the two countries is something much more complicated than a strategic partnership. It’s an on-off marriage of convenience – albeit one that tends to heat up when it suits the partners.